I do hope you enjoy the reading as much as I enjoyed writing it!! I wish you all a lovely weekend and see you soon …. 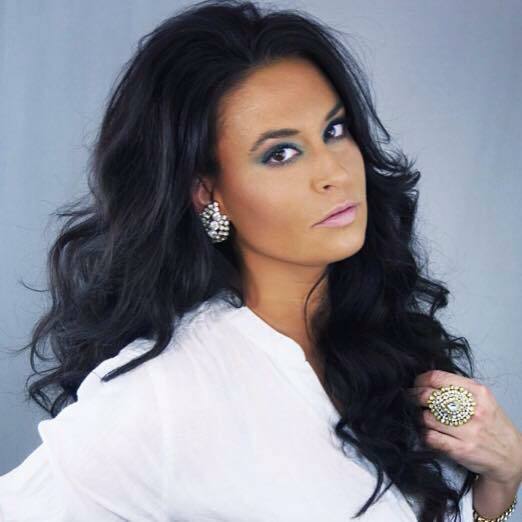 CATCHING UP WITH JENNIFER RENE ABOUT MUSIC, TRAVELS AND HORROR MOVIES!! One of my favorite artists, Jennifer Rene, has been so kind to accept this interview with me. Let’s see what she is going to reveal to us..
Hi Jen, thanks for taking the time to do this interview with me!! Thank you so much for having me! It’s my pleasure! Music has always been a big part of my life since I was very little. My dad is a musician and so I started performing at church with him at a young age. I was in choir and show choir thru ought school and I’ve been writing songs since I was very little. I always loved dance music but really decided to go in that direction once I turned 21 and went to my first real club in Chicago. I saw the DJ’s “Blank & Jones” and the energy and vibe of the place was surreal, I knew then and there that this was what I wanted to do! You worked with so many big names… Which cooperation challenged you the most and why? I have had such great experiences working with producers. With each one I learn something new. I would say the one where I felt the most pressure to do a good job was when I was in the studio with Armin for “Fine Without You.” I only had one song out at the time and Armin was a really big name. I wanted to make sure I did a good job with writing a song with him since it was such an amazing opportunity. I was lucky that it turned out pretty well! Being a singer, a Dj and a radio show host must really keep you busy, so how do you manage it all? It can get quite hectic at times, but the good thing is that it never feels like work and I love every party of this career! I haven’t started my radio show or podcast yet but it’s something I plan on doing. I need to make sure I have adequate time to do that and lately I’ve been focused on writing and recording new music! I also go to school full time so I do have a very full plate. It’s all a blessing though. What are the ups and downs of traveling so much? There are so many ups about traveling! Meeting new people and making friends from all over the world, experiencing new cultures and seeing some of the most beautiful sites you could ever see. I love going to countries where I feel completely out of my element because it’s there where I discover so much about myself. Traveling and performing makes me come ALIVE! The downs would be the jet lag, long layovers, and having to leave a place or people that you really fell in love with not knowing when you’ll return. I known you are a great horror movies lover (just like me) which film scared you the most? Ahhh you love horror!!! This makes me so happy!! Haha yes I am a big lover of the horror genre, one of my favorite scary movies would have to be The Exorcist which I think tops most people’s lists. I also really love Amityville Horror, The Strangers, The Conjuring, The Descent, and Rosemary’s Baby. I could honestly go on and on haha. I’ve red about that project still in the back of your mind about owning a club called “colors” and totally loved the idea (especially the white room) would you like to tell us more ? Ahh yes! That’s the inspiration behind my upcoming radio show! I’m a lover of so many genres and always thought it would be cool to go to a club where you could hear different genres in different themed rooms. I’ve also always seen colors in music so I put two and two together! Owning a club is probably something that will never happen but having a radio show inspired by the same is sure to happen! What inspires me is things that have happened in my life. Love, heartbreak, anger, sadness, loss of friendship, all those things and more inspire me. I write from the heart and from my own personal experiences. Even when something bad happens in my life I turn it into a positive because I know I can write a song about it and hopefully there will be someone out there who can relate to it and enjoy my song. Can you tell us something about your last productions and give us a sneak peek of your future projects? I was really happy to be a part of Solid Stone’s debut album and have two songs on there “Heart Call”and “Pushing Up” .Working with Solid Stone is always something I enjoy and we work really well together. I never know what he’s going to send me after I’ve sent him a vocal and it’s always surprising in the best possible way. My recent collab “Smile”with DRYM was one I had been working on for awhile. I had been talking with DRYM for over a year about a collab and they sent me this instrumental that was so beautiful and I heard the lyrics right away over it! Right now I’m currently writing non-stop to new collaborations and some of my own material and I’m very excited where everything is going. I can’t wait to share it with the world! 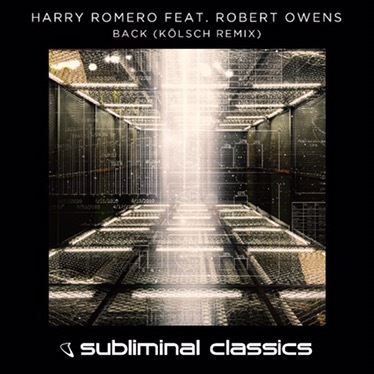 Hot Danish techno and house producer Kölsch provides a darkly modern treatment to Harry Romero’s hit throwback, out now on Subliminal Records. A remix of Romero and Robert Owens’ 2004 anthem “I Go Back,” Kölsch’s interpretation brings roaring tension, building synths and deep bass to the classic. Respected by peers and house music audiences alike, Harry Romero has stood as an integral artist on Subliminal Records since its inception. A fan favorite at world-renowned venues including London’s Ministry of Sound and Pacha Ibiza, Romero has released on Ovum, Suara, Circus, Maya Records and more throughout his career, in addition to running the successful Bambossa Records. Romero continues to celebrate the success of “Rude,” his latest single on Subliminal, featuring Jessica Eve and RT. Producing genre-defying cuts for more than two decades under various pseudonyms but now finding global, credible club acclaim as Kölsch, Danish DJ/producer Rune has re-written the rules on techno production more than once. His last two full-length albums, 1977 and 1983, set fans on a melodic and emotion-fueled journey, receiving praise from Resident Advisor, Pitchfork and more. Last year was marked by several career highlights for Kölsch, with performances at Ushuaia, Space and Amnesia in Ibiza, in addition to his Essential Mix debut on BBC Radio 1. 2016 has been all about the remixes, with electronic music heavyweights including Sven Väth and Damian Lazarus receiving Kölsch treatments. Originally forged by Dutch dance music group The Ultimate Seduction in 1992, ‘The Ultimate Seduction’ was a huge hit in The Netherlands back in the days. Armin van Buuren made his own version of the track to play throughout his ‘Armin Only Embrace’ world tour alongside his renditions of dance classics ‘Dominator’ (by Human Resource), ‘Pull Over’ (by Speedy J), ‘Quadrophonia’ (by Quadrophonia), and more. All of these tracks are featured on the ‘Old Skool’ mini album, which is to be released on August 4th. 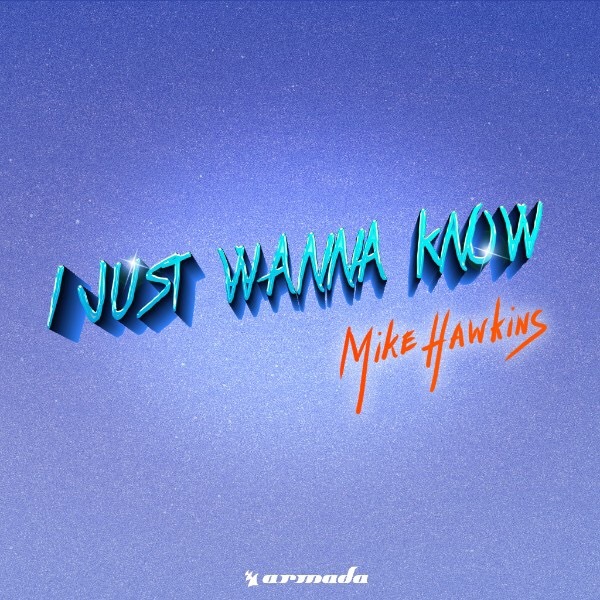 Mike Hawkins’ back with his third single right after “Follow” and “Louder”; this is called “I just wanna know” out on Armada Music last Friday. 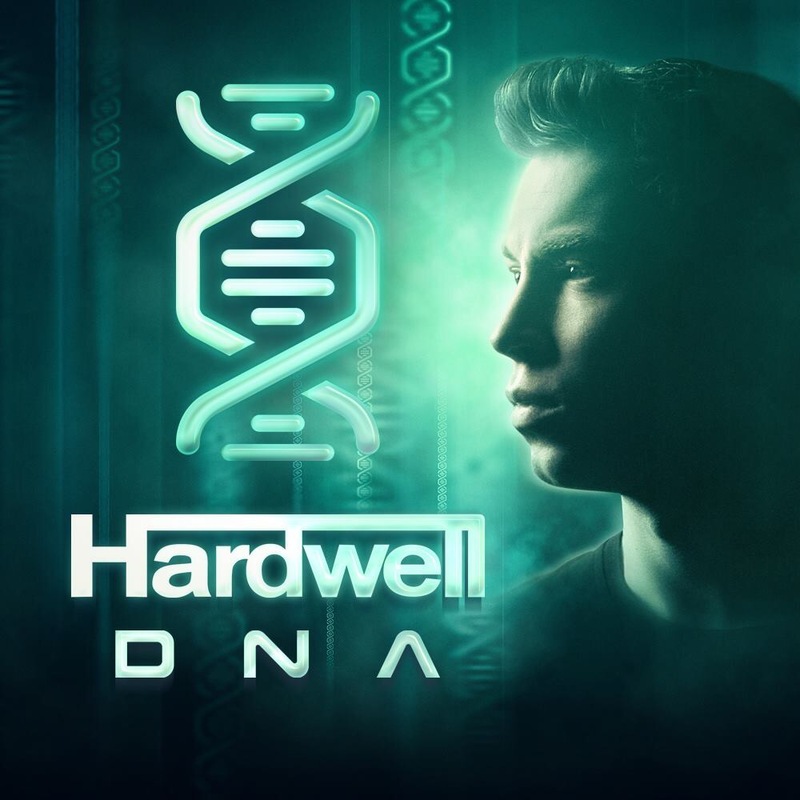 Just Wanna Know’ was premiered on US radio by Liquid Todd on Sirius XM and the song received support from Hardwell, Dimitri Vegas & Like Mike, Nicky Romero, Laidback Luke, Sick Individuasl, Mercer, Tom Swoon, Breathe Carolina, and more. 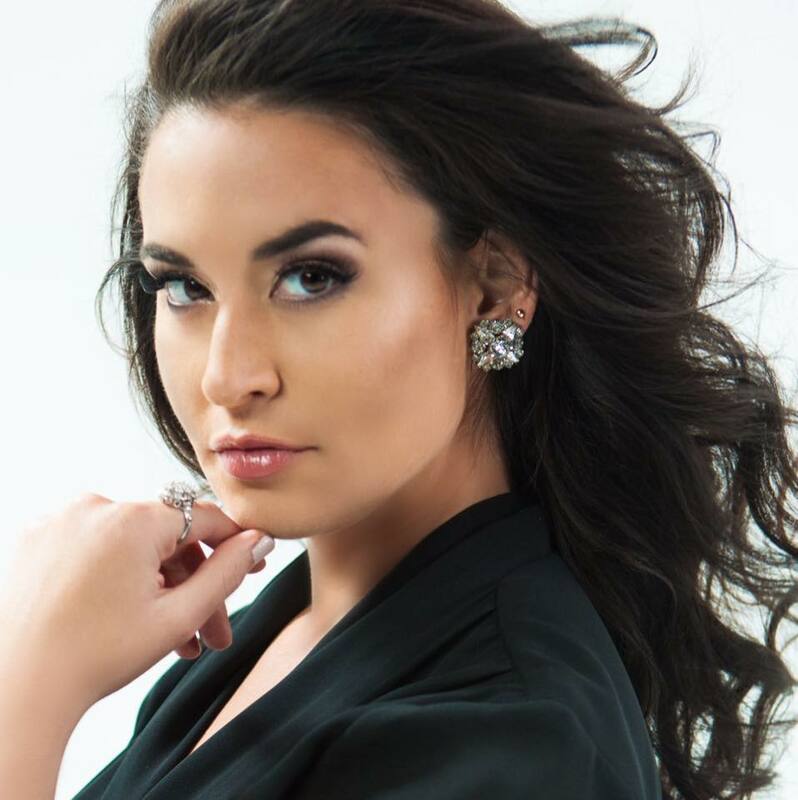 In addition, the track was added to various leading Spotify playlists, including Spotify Fresh EDM, the Armada Music Top 100 playlist, and Spotify Netherlands Hot New Dance Hits. Just to bring something even more special to the table, the artist decided to host an exclusive Q&A for his fans and the answers will be revealed today. If you are among those lucky people that will hit the white island during the summer, make sure you won’t miss Hardwell DNA party at Ushuaïa on Tuesdays. The party is held in the breathtaking location of one of the most fashionable hotel of Ibiza, with its majestic stage​ ​right in front of the pool where gorgeous dancers will accompany the dj sets from 5 pm to 12 am. I use to attend the event every time I am on the island in the last years, and everytime it’s something new and surprising. ​This time, Hardwell reached the stage at 9.50 pm, an astounding visual introduction dragged the crowd to pronounce H-A-R-D-W-E-L-L with increasing rythm that led to an explosion of lights and sounds….and here we go: Hardwell is greeting Ibiza and everyone at the party. From then on, all is pure madness, just good vibes and pounding beats, everyone is dancing and jumping to the tunes picked for us by this young living legend. A few years ago I had the luck to meet the man behind Hardwell, his tour manager and assistant, Manny Zelaya, founder of On tour Management agency and let me tell you, he is one of the most kind and professional guy in the business; not only he was available to give me some insights about his job and passion(you will read more in my interview soon) but he was also so nice to introduce me to Robbert van de Corput (Hardwell) and this is a meeting I will hardly forget!! Right after his set, Hardwell left the stage (with Manny watching his back and following him) taking the time to please his fans stopping by for some pictures,and finally reached a private room where some friends where waiting for him and where he could eat something and chill a bit after what was without any doubt a killer set. A consolle was being set up and the atmosphere was really cool….oh yes, guys, i was allowed to enter that room and after a few minutes Robbert stood there in front of me, smiling and stretching out his hand to greet me. 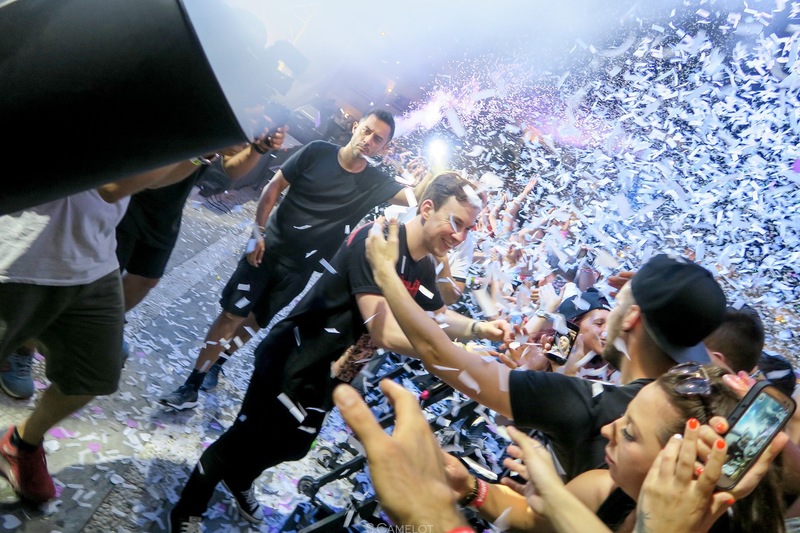 An incredible happiness mixed with excitement rushed through my spine….wtf….I had Hardwell in front of me and he looked so different from the international big dj I just witnessed on stage; he seemed calm and even a bit shy and thanked me for being there! We had the time to share some words and I made sure he knew how much I loved the show, then it was time for me to leave. A last tight hug with Manny and a big smile on my face accompanied me for the rest of the night. Galactic Marvl, a mysterious act said to have come from another galaxy, launched his latest creation today. Released on Amsterdam-based record label Armada Music, ‘Save Me’ is the first of a multitude of singles that is to build toward the release of a full-fledged album later this year. 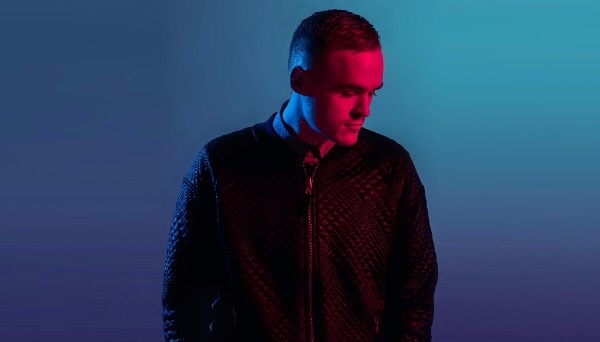 ‘Save Me’ also features the distinct vocals of US singer-songwriter Connor Foley. Though shrouded in secrecy, Galactic Marvl hasn’t exactly operated under the radar before releasing ‘Save Me’ today. Through stellar remixes of The Chainsmokers’ ‘Don’t Let Me Down’ and Kaskade & Felix Cartal’s ‘Fakin It’ (feat. Ofelia K), Galactic Marvl made a meteoric impact right off the bat, fueling the hype for ‘Save Me’ and every bit of new music still to come. Save me also comes with a grand music video!! 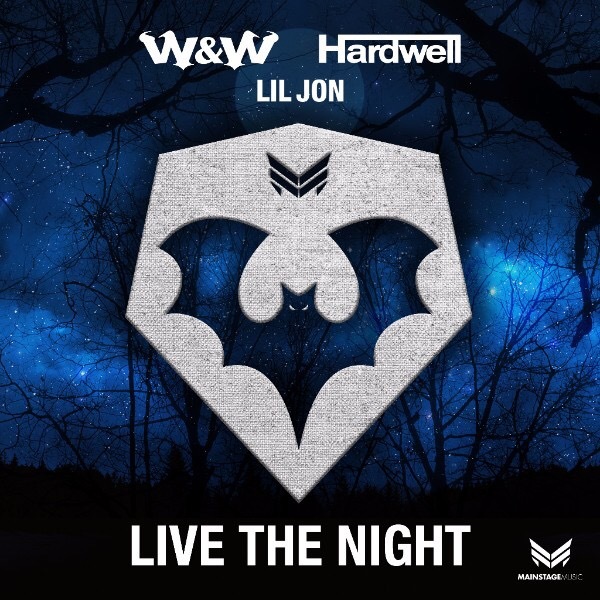 Apart from being a main fixture in W&W and Hardwell’s live sets, ‘Live The Night’ soared in its makers’ own respective radio shows (Mainstage Podcast and Hardwell On Air). 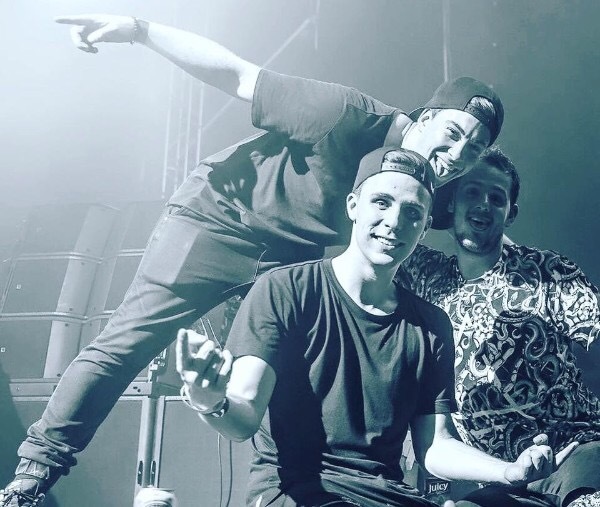 After ‘Jumper’ and ‘Don’t Stop The Madness’, ‘Live The Night’ is the first team-up of the three Dutchmen to be released on W&W’s Mainstage Music. 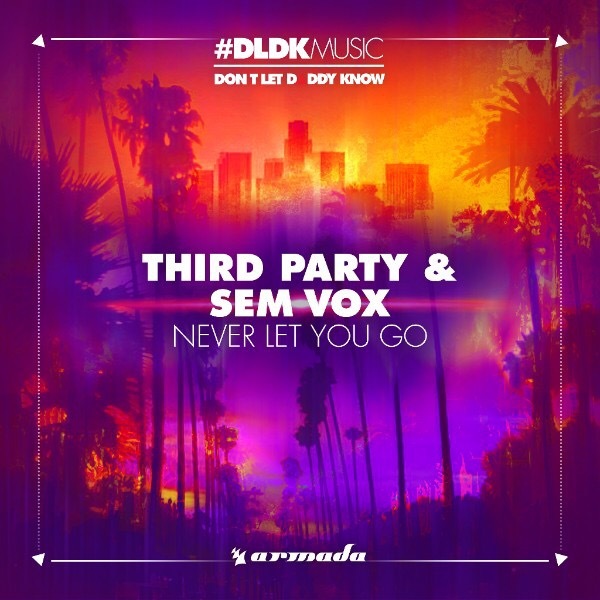 Third Party and Sem Vox dropped their brand-new single ‘Never Let You Go’ onto #DLDKMUSIC. The song counts as the third release of the record label and was forged by the UK duo (Third Party) and the renowned Don’t Let Daddy Know anthem creator (Sem Vox). #DLDKMUSIC operates under the wing of Amsterdam-based record label Armada Music. In the past few months, Sem Vox has been taking the world of dance music by storm. Sem Vox’s ‘Get It Up’ and ‘Mumbai’ – both released on #DLDKMUSIC as well – rose as the respective anthems of the illustrious Don’t Let Daddy Know events in Amsterdam and India. Now collaborating with Third Party, Sem Vox proves he’s not one to let momentum subside and continues to strengthen his foothold in the industry by way of this new single with Third Party. After working together closely for many years, Armada Music and U.S. consultant and radio promoter George Hess have upgraded their partnership. 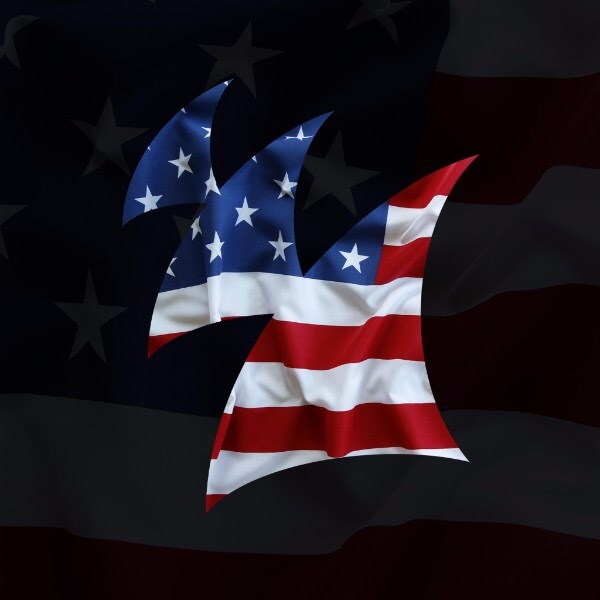 Through this intensified partnership, Armada Music aims to push further into North American territory than it has ever done before. Additionally, the Amsterdam-based record label will open a brand-new office in New York on July 6th. Hess will launch the New York office as the record label’s representative in North America, focused on promoting its artists and labels. Armada Music and George Hess first started working together about seven years ago and their collaboration proved successful in the following years. 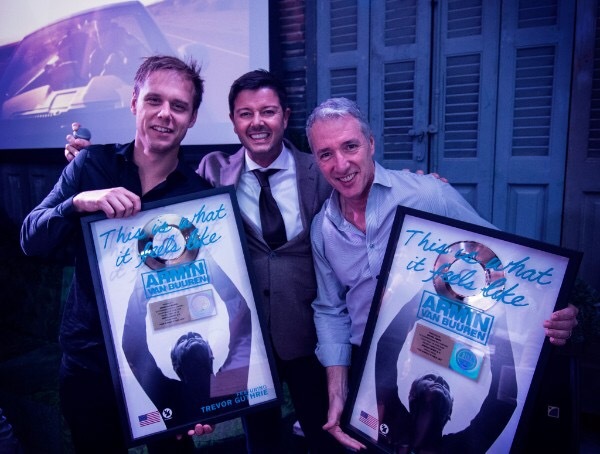 Through their joint efforts, the artists and labels of Armada Music gained a stronger foothold in North America and both Armada Music and George Hess saw their hard work pay off when Armin van Buuren received a Grammy® nomination for worldwide smash ‘This Is What It Feels Like’. 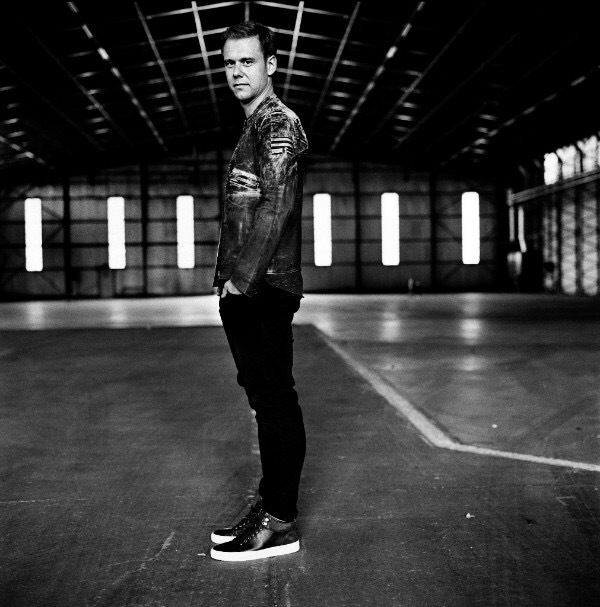 George Hess’ representation of Armada Music will be exclusive within the independent Dance genre.